PathAuto: as the name clarifies itself its a module that gives automatic path to your content type/node submission. If you noticed blogger’s blog post paths they are based on the title of the post, similarly Drupal node’s path can also be beautified with use of this module rather than /node/x - x the id of the node. It can be like /news/mr-abc-won-gold which looks good and is search engine friendly also helping your SEO. Pathauto can be configured to give different path to different content types say you have news and reviews two different contents then you can give path to news like /news/[title-raw] and to reviews like /reviews/[title-raw]. See the settings page for more options on path/URL You can get the module here. See it in action here, look at the URLs. 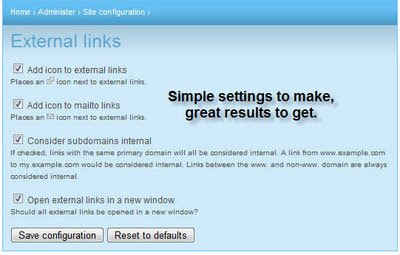 Ext Link: is short for external link, is a very straight forward yet useful module. If you have gone through the problem of scanning external links in you blog post to make it open in a new window then you know what headache is it going to each external link and adding _blank to target. But with Drupal just add this module, go to the settings page and make it as you wish too. 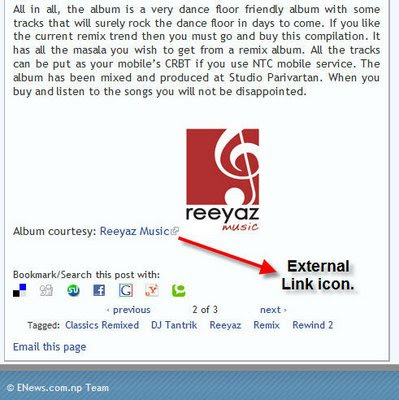 External links with icon indicating its an external link is also considered a good UI (User Interface) practice. So use this module to open external links in new window as well as mail to links. See the setting above and grab this module here, the output looks like of below . Scheduler: is a module that lets you schedule the date and time to publish your draft nodes. Put you published status to unpublished when submitting and when the time comes this module will publish it. It is very nifty module if you have post early and publish later like you go for a holiday and still make your site updated :-). Its also handy to publish notices or greetings of festivals or any important things that you can’t afford to forget on time. Schedule it forget it. 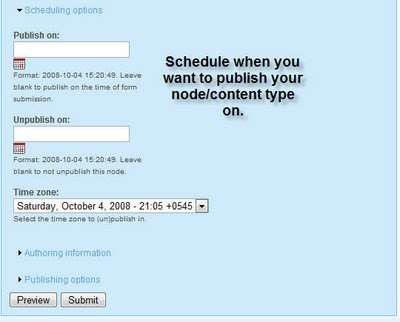 But you must make it active in the content type settings then when you submit the node you can schedule it’s date and time of being published. Note that this module depends on the cron run so have a look at the next module. Get the module here, settings on submit below. 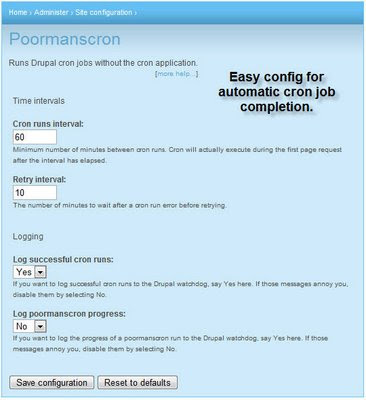 Poormanscron: is a good module to make your cron jobs run at specific intervals. 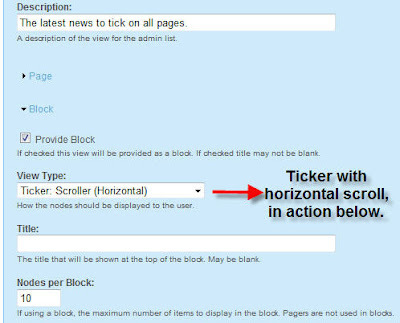 This helps you with the Aggregator update and all other things that are cron depended including the scheduler and other modules. This module relieves you from running the /cron.php when you need it. Therefore grab this module here and relax the cron runs at the time interval you set it to run at. good tool to have a ticker in you site be it vertical, horizontal or one that fades or is of the BBC style. Get this module here. A ticker video is given below which I used for a website. Hope you know about the 5 undermined Drupal modules and use it to maximum benefit in your Drupal site, keep on Drupalling.